Police in KwaZulu-Natal are investigating a case of public violence after protesters burned seven trucks on the N-3 between Escourt and Mooi River in the Midlands in the early hours of Thursday morning. Provincial police spokesperson Thulani Zwane says no arrests have been made. 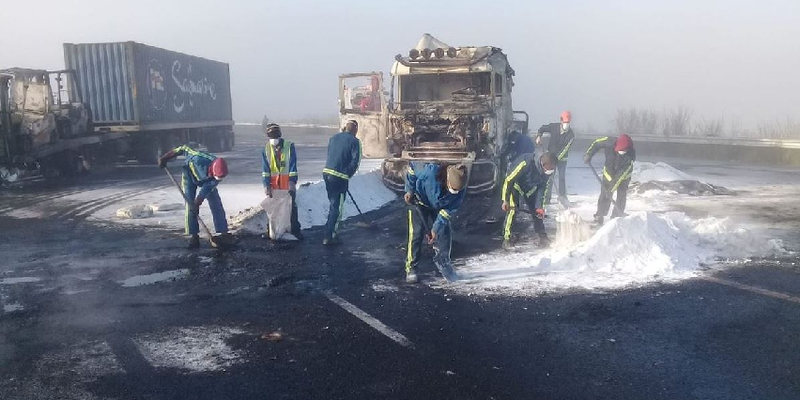 The post KZN protesters burn seven trucks on the N3 appeared first on SABC News – Breaking news, special reports, world, business, sport coverage of all South African current events. Africa's news leader..